Theological librarians play an essential role in the educational process. 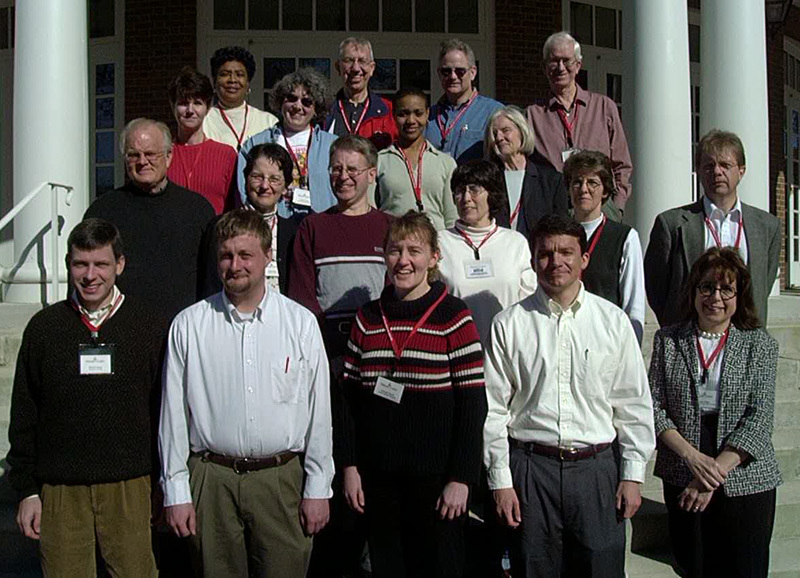 Institutional standards developed by the Association of Theological Schools highlight the need for librarians to contribute to theological scholarship–teaching, learning, and research–in ways specific both to the profession and to the particular school, its mission, curriculum, and resources. Yet in practice, the means of fulfilling this expectation are not always clear or immediately available to librarians. This colloquium explored the vocation of theological librarianship and promoted the development of strategies and skills for increasing the effectiveness of librarians in the teaching/learning/research process in their own institutional and professional contexts. Front Row (left to right): Derek Hogan (Campbell University), Jonathan Roach (Ecumenical Theological Seminary), Hannah Kirsch, (Asbury Theological Seminary), John Weaver (Emory University), Elyse Hayes (Seminary of the Immaculate Conception). Third Row: Amy Limpitlaw (Vanderbilt University), Sylvia Locher (Ashland Theological Seminary), Emily Knox (The General Theological Seminary of the Episcopal Church), *Linda Corman (Trinity College Faculty of Divinity). Fourth Row: *Carrie Hackney (Howard University School of Divinity), Gerald Truman (Urshan Graduate School of Theology), Robert Mayer (Gordon-Conwell Theological Seminary), *Roger Loyd (Duke Divinity School). Not Pictured: +David Stewart (Luther Seminary). * leadership/staff; + ATLA consultant.